Lord of the Rings Online's recent Mordor expansion didn't just add a good chunk of depressing landscape architecture to the virtual world, it also introduced something for all residents: a character overhaul. Okay - correction - it only adds something for players that own Elven and human characters; hobbits and dwarves will follow in the future. 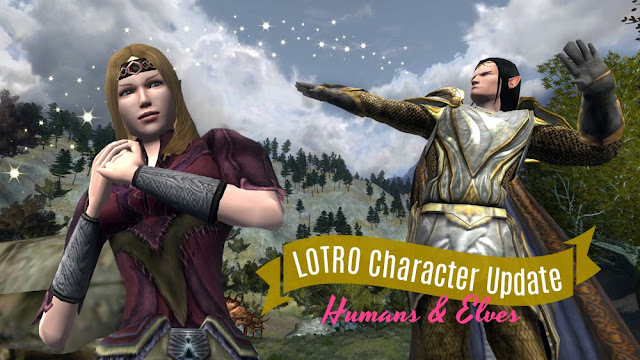 Being a ten year old game, LOTRO could really use an update of its avatars - or so many players seem to think. It is telling that I spent my first couple of hours after launch fiddling around with my characters' new looks rather than venture into Mordor. 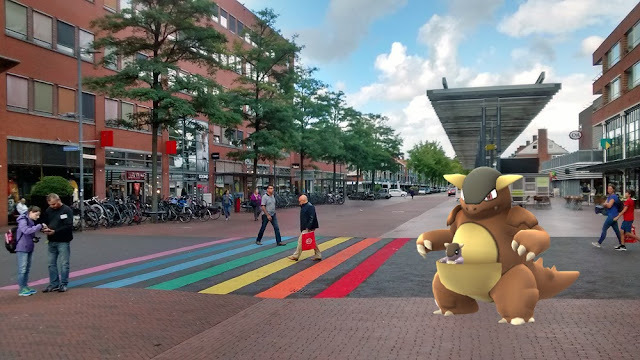 Last weekend was the last opportunity to visit one of Europe's so called Pokémon Go Safari Zones. For three weekends in a row, in various shopping centres that partnered with Niantic, kangaskhan (normally only available in Australia) could be found. In addition, an increased spawn rate of the unknown letters forming E-U-R-O-P-E was in effect in these areas. You didn't have to pay anything in order to participate in the event; you just had to be there and look for those pokémon. I do love catching myself some cool pokémon. And while I don't usually travel beyond my municipality for pokémon and shopping isn't exactly my greatest hobby, it seemed silly to let the opportunity go. Especially so when I found out that the closest Safari Zone, in Stadshart Amstelveen (the Netherlands), was less than an hour drive away. I was prepared to spend some time on my own, maybe drop by the Cobra Museum (modern art) if I got bored of the shopping centre, but then I found out my brother and his girlfriend wanted to go as well. So past Saturday, all three of us got in the car early to catch us some pokémon. 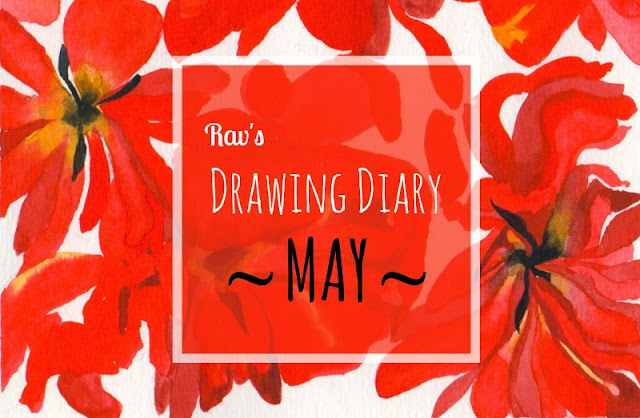 If I keep up this pace, I'll be catching up on my drawing diaries forever! I really should try to get them out more quickly. What's putting it off is that the scanning is a lot of work. But I enjoy sharing my drawings and adventures with you guys, so that's no excuse. Here is my entry for May! I spent plenty of hours painting in May, especially when I was in Sweden with my family for two weeks. However, the month started out on a sad note. 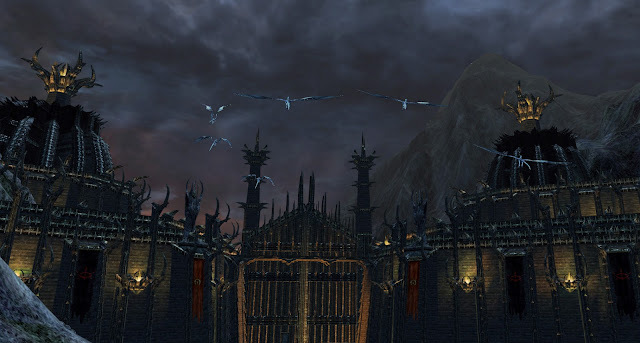 It's expansion time in Lord of the Rings Online, so get ready for some dark and depressing images on Ravalation. Sauron has done a great job of branding his homeland such that nobody ever wants to visit (SSG arguably even helped a bit with their widely discussed pre-order prices), yet many players chose to (wo)man up and venture through the Black Gate this past Wednesday. I was among them. Since I haven't played enough to write a review yet, let's discuss something else: the Mordor trailer.